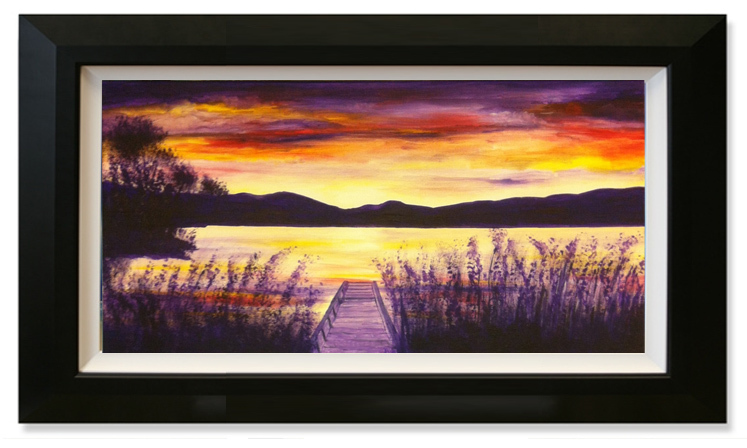 All our “original canvas art” and “canvas prints” can be produced on 18mm deep frames which can be just hung straight on the wall or can be taken to your local picture framer for traditional framing. Simply enter “please produce on an 18mm deep frame” in the additional information box during checkout. All sides of paintings will painted if you want to hang straight on the wall and all canvas prints will wrap around the sides for that contemporary look. 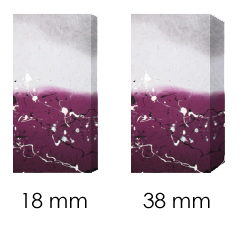 Both can be hung straight on the wall or choose 18mm to get traditionally framed as image below. Grasmere, Lake District original painting by Rob Haigh just released as open edition giclee prints on canvas and fine art paper. Lake district original art by Rob Haigh. 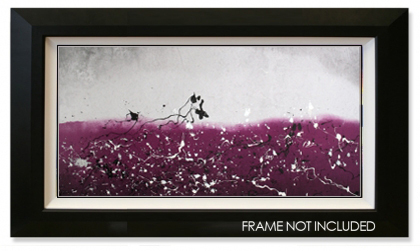 We have just released this giclee print by Rob Haigh into our new “Exclusive Art” section of the Lucy Art website. Rob will be creating many new paintings this year and will release the original acrylic paintings for sale and many giclee prints on canvas and paper. The canvases are available in 38mm deep and are ready to hang, they are also available on 18mm canvases which can be framed like the one above. Lucy Art graphic artist Dan Auton will also be releasing some of his new work for the first time. Dan is an exceptional up and coming talent so be sure to check out the Exclusive Art section of www.lucyart.co.uk on a regular basis. Photo Vault, Any image from 15 million on Canvas, Wallaper or Paper Art Prints. 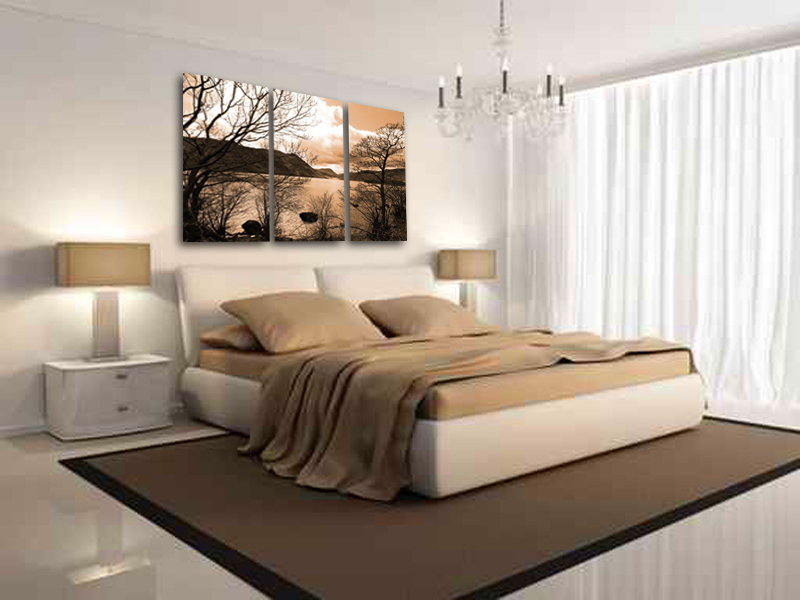 Print any image on canvas, wallpaper or photo paper. Choose from 15 million photos. Try our Photo Vault and you can choose any image from 15 million to print on canvas, wallpaper murals or fine art paper print. This is a selection of the Original canvas art paintings and canvas prints which are available to view and buy now from my website. I myself have created many of the pieces and any can be produced in any size or colour to suit your space.